RemarksDon't miss this great Amelia Island ocean view townhome! Just one homesite away from the ocean and miles of white sand beach. 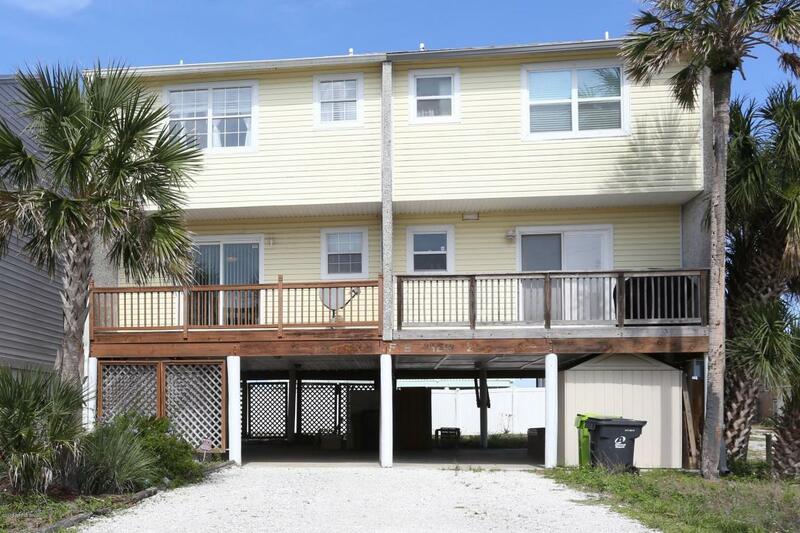 Enjoy this very affordable 2 bedroom, 2.5 bath stilt townhome with 15X34 carport and storage under the home plus enclosed stairwell. 16 x 19 porches with ocean views from the living room and master bedroom. No condo fees - fee simple! Just down the street from Main Beach & restaurants and biking distance to Ft. Clinch Park, Atlantic pool center and Historic Fernandina. Pleasure to View!! Furnishings are negotiable.